Harriet Harris Service Details - Toledo, Ohio | The House of Day Funeral Service, Inc.
sister Rose Robinson; step children MC Lee Ware, MC Harris Jr., Patsy Finley; and step grandson Rashad Finley. Cookie as she was affectionately known by her loved ones, married the longtime love of her life Mr. MC Harris in 1994. She was a devoted wife, mother, stepmother, grandmother, great grandmother, sister-in-law, mother-in-law, aunt and friend. Although she did not have a church home at the time of her passing, she did accept Christ as her Savior and was a believer of his word. In 1992, Cookie studied and designed clothing while attending Stautzenberger College and went on to become a passionate and dedicated Home Care and Hospice Worker for over 20 years. She loved gardening, decorating, shopping, hosting parties (especially during the holidays), crafting, cooking, caring for her loved ones and telling it like it is, with no regrets. Cookie will always be remembered for her immeasurable dedication to keeping her family together, which included raising three generations of children. Her door was always open to those in need and she was always surrounded by children. 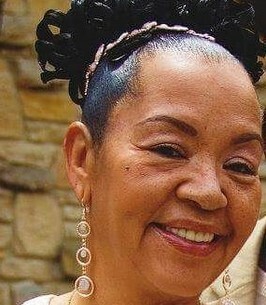 Her beautiful life will forever be cherished in the lives of her surviving husband MC Harris and their children; Sean Machaterre, Kesha (Shaquana)Valentine, Crystal Machaterre, Danielle (Sanford) Stewart; Stepchildren, whom she loved dearly, Darren Finley, Antwayne Harris, Angel Ware; Her sister's children, who she adopted at a very early age and raised as her own, Antoine Robinson, Priscilla Robinson, Deborah Robinson and Mary Robinson; 20 grandchildren, seven great grandchildren; Brother's John Machaterre, Charles Machaterre and Kenneth Machaterre; Sister, Rose Heffner; Sisters-in-Iaw Rosemary Sturgis (Lawrence) and Arlean (Willie) Jenkins; Special friend Janet (Tony) Guerra; Pets Sugar, Dottie and Kitty. Cookie will also be forever remembered by her numerous nieces, nephews, extended family members" co-workers and dear friends. To send flowers to the family of Harriet J. Harris, please visit our Heartfelt Sympathies Store. Cookie, you truly will be missed by all of your patients and your coworkers. You had a true gift and anyone who met you was very lucky to have you in their life. We will all miss you so much. Aunt Cookie I cant belive your gone Its hard too except it But i guess mom and grandma was getting lonely for you , so they called you. Youll sadly be missed Ill miss you. MY DEEPEST SYMPATHY TO THE FAMILY.COOKIE WAS A SWEET PERSON AND SHE WILL BE MISSED BY HER FAMILY AND FRIENDS.TO THE FAMILY ALWAYS REMEMBER SHE NOT GONE SHE ALWAYS GONNA BE IN YOUR HEARTS AND SHE GONNA BE THERE WATCHING OVER ALL YOU GUYS.TO ALL OF HER KIDS SHE ALWAYS LOVED AND WAS VERY PROUD OF U GUYS.SHE IS NOW AT PEACE AND WITH HER LOVED ONES.I DIDNT KNOW COOKIE VERY WELL UNTIL THESES LAST FEW YRS WEVE TALKED.JUST REMEMBER SHE ALWAYS GONNA BE IN ALL OUR HEARTS SHE TOUCHED ALOT OF PEOPLE WITH HER KIDNESS AND HER SWEET SMILE AND SOMETIMES HER SILLY THINGS SHE DONE AND SAID.MY HEART GOES OUT TO ALL OF HER FAMILY. My dear sister inlaw, the lord called you home you are reunited with your mother and sister now what a reunion that was.You have earned your wings youll sadly be missed.May the lord confort the family and may your memories live on forever.